Call the paramedics! Alert the media! Start a “Go Fund Me” page on Facebook! Hold a nightly vigil with candles! 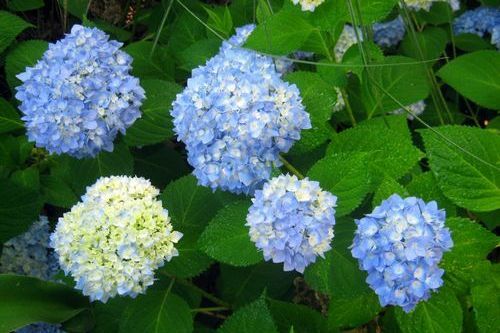 Your hydrangea’s leaves have spots on them! What, oh what can prevent your beloved plant’s imminent demise? Chill. Nothing dire is going on. Something very common is. 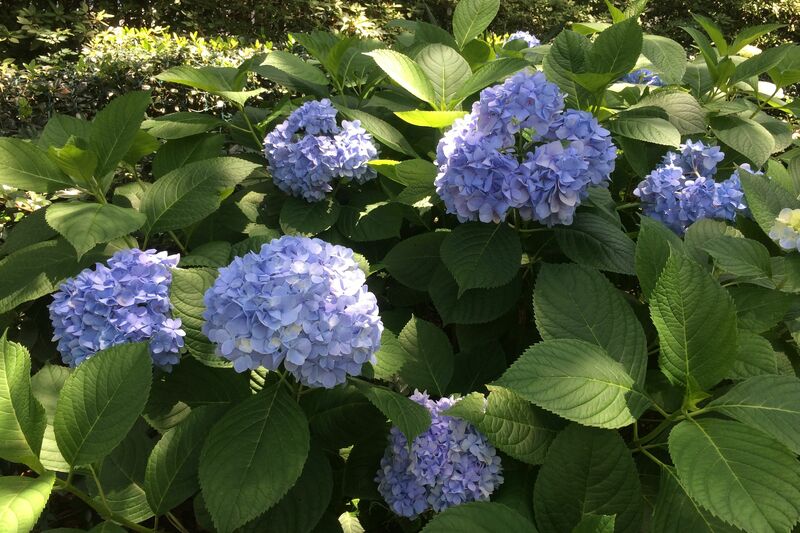 Your hydrangea has leaf spot caused by a fungus. 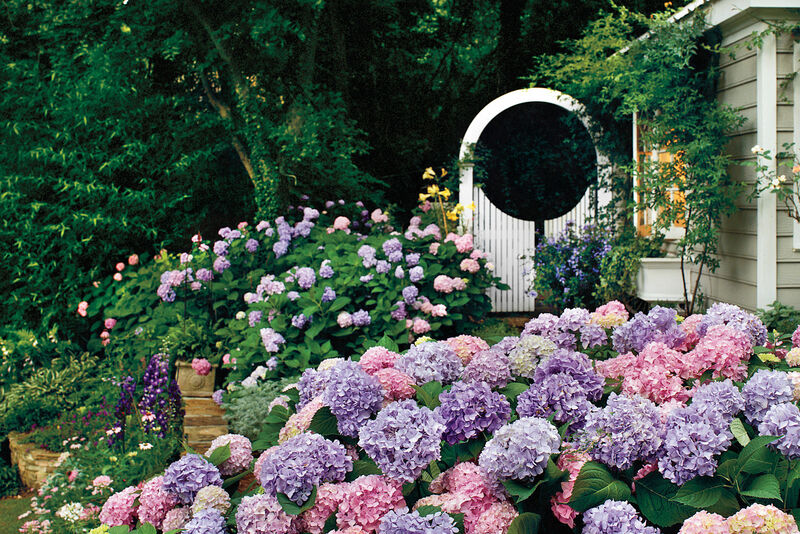 To demonstrate just how common this is, that’s Grumpy’s hydrangea in the picture above. I know what you’re thinking: “Well, if it could happen to Grumpy, it could happen to anybody.” You are correct. It may be different where you live, but here in Grumpiana it’s been oppressively hot and humid with almost daily thunderstorms. While these conditions make people miserable, the leaf spot fungus kicks up its heels. Humidity, heat, and splashing water provide the perfect conditions for its spores to hop from leaf to leaf. Pretty soon your hydrangea looks like it contracted chicken pox. Fear not. This is an easy malady to cure. 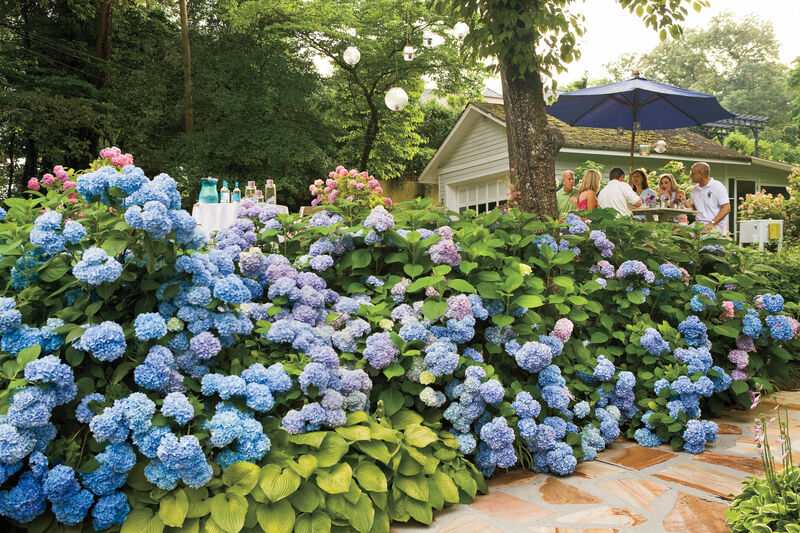 Just spray your hydrangea’s foliage according to label directions with a fungicide such as liquid copper, Serenade Disease Control, Daconil, or Immunox. This won’t take off the spots already there, but it will prevent any more from forming. Pick up any spotty leaves that have fallen and throw them out with the trash. 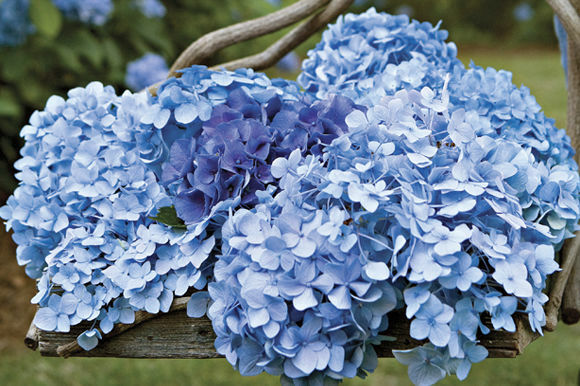 Don’t water your hydrangea with overhead sprinklers. This spreads the spores just like rainfall does. 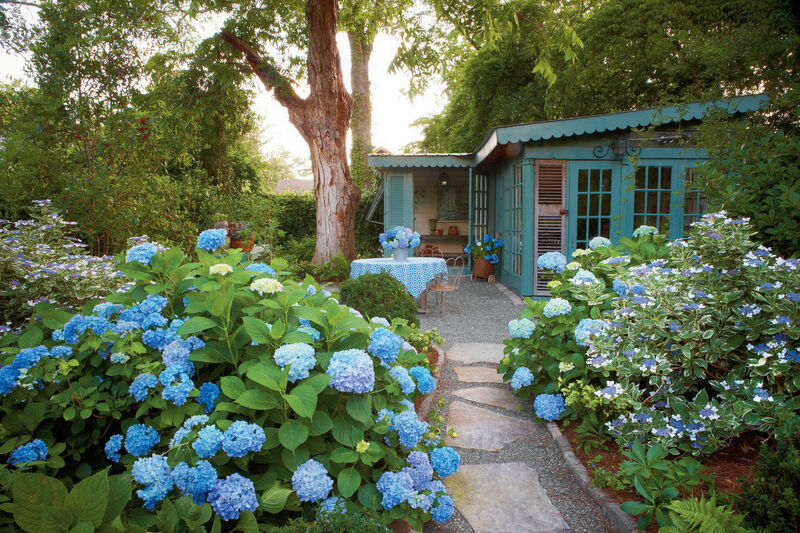 When all the hydrangea’s leaves drop in autumn, rake them up and toss them out with the trash again. Feeling calmer now? Excellent! Another stroke averted by Grumpy.